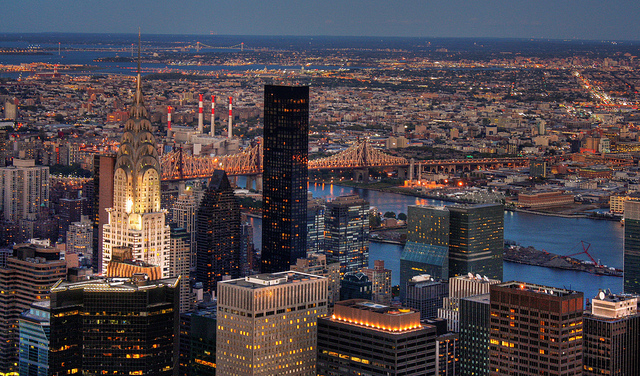 EEFA New York believes that all New Yorkers deserve access to an affordable clean-energy future. The economic benefits of energy-efficient buildings are substantial, but it can be difficult for multi-family buildings and their residents to get their share of these gains. Our goal is to ensure that New York’s renewed focus on energy efficiency is inclusive of low- and middle-income households, particularly for those who live in multifamily housing. At Governor Cuomo’s request, the New York Department of Public Service (DPS) and the New York State Energy Research and Development Authority (NYSERDA) issued the New Efficiency: New York White Paper on April 26, 2018, proposing new and binding energy efficiency targets for the state to achieve by 2025. The White Paper also makes a number of recommendations to help New York meet its efficiency goal, and many government agencies, utilities, energy efficiency providers, and financial institutions must cooperate to make it a reality. EEFA New York submitted comments and recommendations in support of the White Paper, with a focus on ensuring that new programs serve low- and middle-income communities, including the buildings in which they live, and that new resources are used effectively and efficiently. When adopting energy efficiency technologies, low – and middle – income families face distinct challenges from higher-income households and providers of affordable multifamily housing also face distinct challenges. New York efficiency proposal includes a commitment to allocating 20% of new funding to efforts focusing specifically on low- and middle-income households. EEFA NY supports dedicating targeted funding to this customer segment, and recommends a larger allocation since more than 20% of New York’s population is low and moderate income and to help meet the outsized needs in low and moderate income housing. We recommend specific, tailored support for low and middle-income households in single-family, 2-4 family, and in multifamily housing. First, program design should acknowledge the myriad ways in which a “whole building” approach can be designed, including measure-by-measure across multiple buildings or comprehensive building retrofits. Second, programs should address efficiency from a “fuel-neutral” perspective, which means including buildings that rely on oil or dual fuel heating systems (oil and gas) that are currently excluded from most state and utility efficiency programs. This will maximize affordability and remove barriers to clean energy use. Third, we believe programs should support “beneficial electrification,” which replaces direct fossil fuel consumption (such as heating with propane, oil or gas) with electricity to reduce overall fuel use and pollutant emissions. Fourth, programs should be designed to support renovations and equipment replacement where upfront costs are prohibitive, and enable immediate energy savings from the investment. One great benefit of an increased demand for energy efficiency improvements is an acceleration of job growth in the energy efficiency industry, including construction and contracting. We believe the state has an important role in helping to develop a trained workforce, and commend NYSERDA’s programs in this area. Increasing the number of qualified workers to perform efficiency installations and building operations and maintenance will help make sure buildings are efficient and affordable. Financing for efficiency in multifamily buildings is key to energy and housing affordability and ensuring low and middle-income households live in healthy, safe and comfortable homes. NYSERDA, including the New York Green Bank, can help provide access to capital through both “direct” and “indirect” methods of assistance. For example, they might implement programs to support larger private loans, based on repayment from utility bill savings, or they may provide indirect support such as data and expertise to lenders to bolster confidence in private financing. Lastly, we cannot overstate how important it is that government actions to achieve the 2025 targets are coordinated and supportive of one another. EEFA New York recommends both the creation of an “interagency task force” which will create a cohesive approach to delivering energy efficiency savings to low and middle-income households and a coordination mechanism overall (via an Advisory Group or Council) for the state’s energy efficiency programs and policies. We believe the 2025 target is an important starting point, but to achieve it and to ensure all New Yorkers benefit, New York must address two critical near-term decisions, which are firm near-term targets for utility energy efficiency program ramp-ups and robust funding streams for utility and NYSERDA programs. We look forward to continuing to work with all stakeholders to ramp up our efficiency efforts.